It’s now been seven days since the Philadelphia Inquirer broke the story of the grand jury report on abortion doctor Kermit Gosnell. 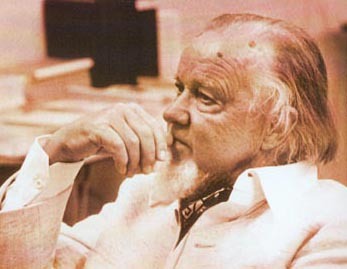 So far, neither the Religious Coalition for Reproductive Choice, nor its member organizations including the Episcopal Church, Presbyterian Church (USA), United Church of Christ, United Methodist General Board of Church and Society and Women’s Division, and various mainline church caucuses, have had a single word to say about Gosnell. Keep in mind that this was a major news story that involved the killing of at least seven babies (and very possibly hundreds more) as well as at least one woman. Gosnell hasn’t been charged with medical malpractice, or with having a dirty office, but with eight counts of murder. In fact, Gosnell may be the biggest mass murderer in American history, though his destruction of his own records would make that hard enough to prove in court that he’s only charged with eight. (A former assistant of his says that she aided in at least one hundred killings of live-born children.) And yet–perhaps because Gosnell didn’t try to kill a politician, didn’t use a gun, and was practicing a profession that the mainline denominations approve of wholeheartedly–there’s not been a peep. With regard to the RCRC, that’s not surprising. 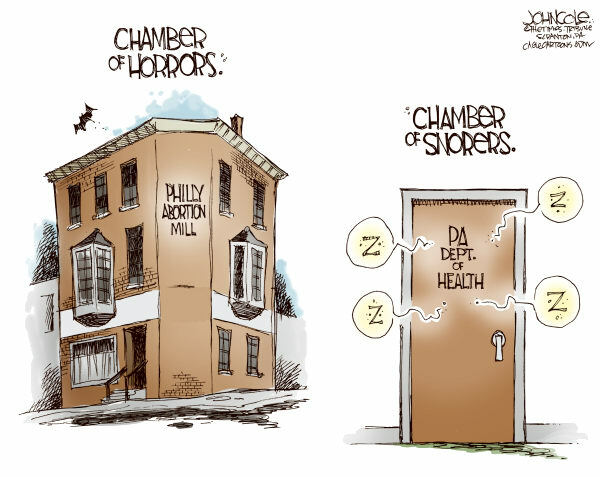 People across the political spectrum (outside of the abortion-worshipping far left) have been seeking to outdo themselves in indicating their disgust at the chamber of horrors Gosnell ran while killing perhaps hundreds of live babies using a procedure very similar to one that RCRC says should be legal. RCRC apparently figures that if it doesn’t say anything, it won’t look like it’s supporting Gosnell’s practices. But while I’m sure RCRC doesn’t approve of his malpractice or breaking the law, the fact is that RCRC supports two of the pillars of Gosnell’s work: abortion at absolutely any stage of pregnancy, and killing viable babies after bringing them partially (if not entirely) out of the mother. Condemning him would thus be seen as the height of hypocrisy, and defending him would be the equivalent of defending Joseph Mengele, so best that they just ignore the whole sorry mess. From the mainline denominations that are part of RCRC, as well as their various divisions and caucuses, the silence is only slightly less surprising. RCRC at least has the excuse the it has a 100% supportive constituent base in the mainline bureaucracies and pro-abort interest groups. The denominations, on the other hand, while all officially supportive of abortion rights, still have to deal with minorities (in the case of the PCUSA and UMC, substantial minorities at least) who are pro-life and revolted by Gosnell’s handiwork. You’d think that at the very least, they could muster up some measure of condemnation for him and his filthy practice, even as they reaffirm that abortion should be legal, etc. And yet they don’t. Now, here’s the contrast that comes to mind. After the mass murder in Tucson, the mainline denominations, along with the National Council of Churches, leapt in with a variety of statements. For example, the NCC has had four different items on its home page about Tucson. The Presbyterian News Service has published five (including one from the Religion News Service on [some] Jewish reaction to Sarah Palin’s use of the term “blood libel”), the Episcopal News Service two (including one that tried to link the Tucson murders to the debate over health care reform), and the UM GBCS three in their January 18 newsletter and another one on gun control in their January 25 edition. Most of them were variations on the two themes of greater regulation of guns and gun accessories as well as the need to “tone down” the political rhetoric (something that didn’t concern them when it was George Bush’s assassination or shooting a Florida gubernatorial candidate that was being drooled across the airwaves). Sen. Patricia Vance (R., Dauphin), who chairs the Public Health and Welfare Committee, is drafting a measure requiring the state Health Department to swiftly respond to any complaints and to conduct more timely inspections of health clinics. Sen. Jake Corman (R., Centre) vowed to introduce a bill as early as this week to require annual state inspections of abortion clinics. “The most disturbing question which must be answered is, ‘How was this allowed to go on for so long?’ ” he said. Those seem like eminently reasonable proposals. What’s more, they fit in with the mainliners’ invariable political instinct, which is that when a problem arises, the solution is more and/or better government regulation and oversight. In this case, I happen to agree completely, at least as long as we can’t put abortionists out of business entirely. And yet…nothing. One wonders if the victims of Kermit Gosnell, for whom the mainline churches can apparently spare no attention, appreciate their efforts to allow his colleagues to feed from the federal trough.